We are excited to announce today that we are collaborating with Corning Incorporated (NYSE: GLW), one of the world’s leading innovators in materials science, to sell the Corning® microHSI™ 410-SHARK hyperspectral camera as a sensor option for PrecisionHawk’s platform for collection and analysis of drone data. The sensor is capable of on-board processing which produces calibrated, geo-referenced hyper-cubes post flight. 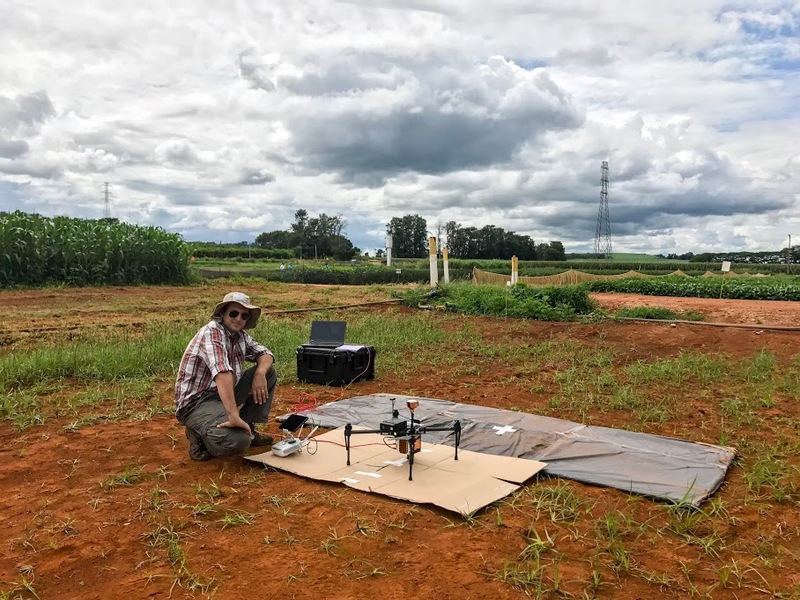 The massive research potential brought to light by these low-altitude remote sensing capabilities will allow for the creation of new spectral libraries that can generate extremely tailored applications across enterprise verticals including agriculture, mining, energy, and environmental industries. For example, identifying and recording the spectral signature that correlates to a specific disease across an agricultural field. The microHSI™ 410-SHARK visible to near-infrared (VNIR) hyperspectral imager is equipped with 154 spectral bands and a spectral range of 400-1,000 nanometers. The sensor can be mounted on several of PrecisionHawk’s drone platforms for simplified data collection. The Corning Hyperspectral will be a plug and play sensor add-on to PrecisionHawk's drone packages that are tailored by industry. “Hyperspectral imagery is a tremendously rich dataset that helps researchers pick up vital information over a detailed spectrum for analysis,” said Thomas Haun, senior vice president of Partnerships at PrecisionHawk. “With Corning’s 154-band hyperspectral product, researchers can obtain and create a wide variety of spectral maps to hone in on specific problems the customer is trying to solve that would otherwise not be identifiable with visual or multispectral sensors." The sensor joins PrecisionHawk’s robust sensor line and will be offered as an optional add-on to drone data packages featuring DJI’S M100 and M600, which are integrated with PrecisionHawk’s flight planning, processing and analysis tools. At low altitudes, data obtained through the microHSI™ 410-SHARK creates high-resolution maps not available through traditional collection methodologies. PrecisionHawk and Corning’s combined offering puts the power of advanced science into a high- performance and cost-effective package that could drive the future of commercial drones. If you are interested in learning more about adding this package to your research project, please shoot us a note at info@precisionhawk.com.